Antique Metal Fidget Spinner with Raised Cross Accents - Exclusive Design! Add a touch of class to your "spinning" experience! You won't find a fidget spinner like this anywhere else! 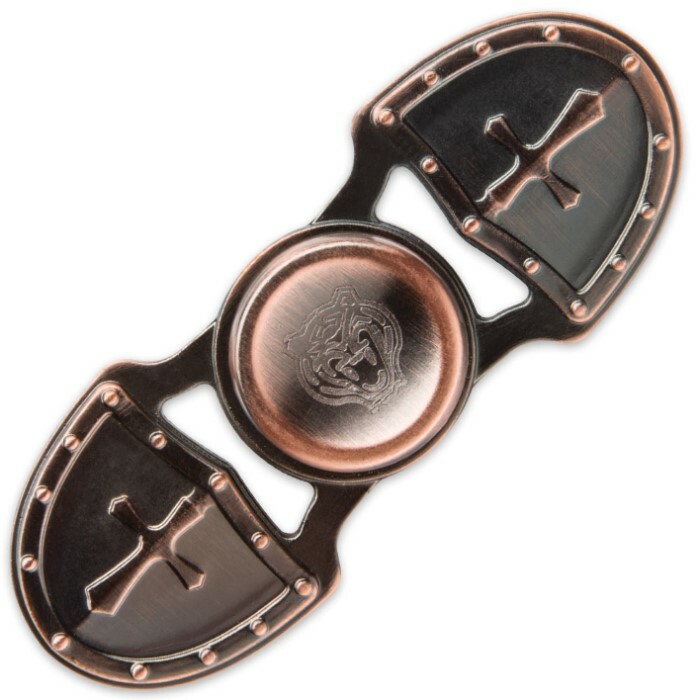 Far more elegant than your average dollar store novelty spinner, our exclusive design is antique metal finished with unique raised cross accents and other one-of-a-kind embellishments. Advanced bearings ensure fluidity and perpetual motion that's second to none, and its rock-solid metal alloy construction is built for years of spinning - for fun or therapy! Our distinctive spinner helps reduce stress, increase concentration and relieve anxiety; it's also great for quitting smoking, leg shaking, nail biting and countless attention disorder habits. 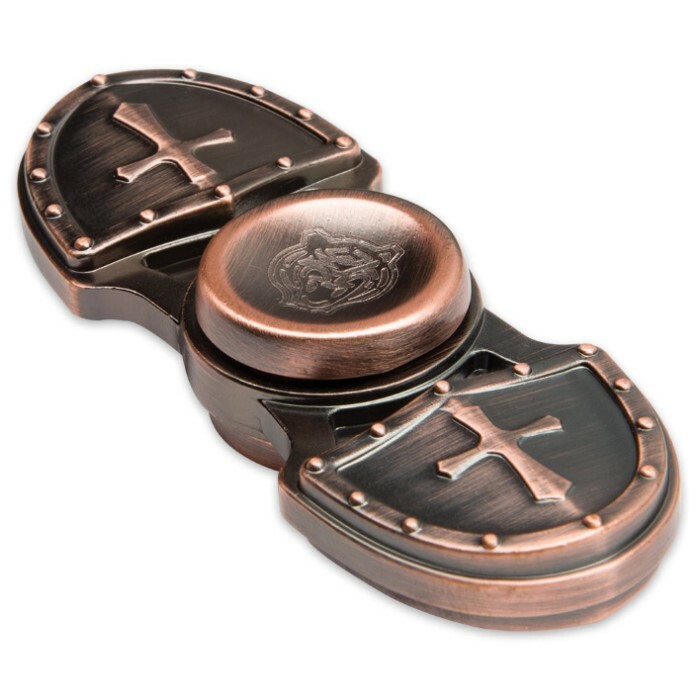 Stand out from the rest - order this exclusive, limited spinner today. You won't find it anywhere else, so don't delay!